Captivating and emotional from the first entry to the last, You Are Here is a compilation of journals, essays, poetry, descriptive writing, novel excerpts, songs, etc., covering topics ranging from growing up to love to infatuation to loneliness to despair. The selections are grouped together based on common themes and include a short sentence or two explaining the prompt or inspiration behind them. 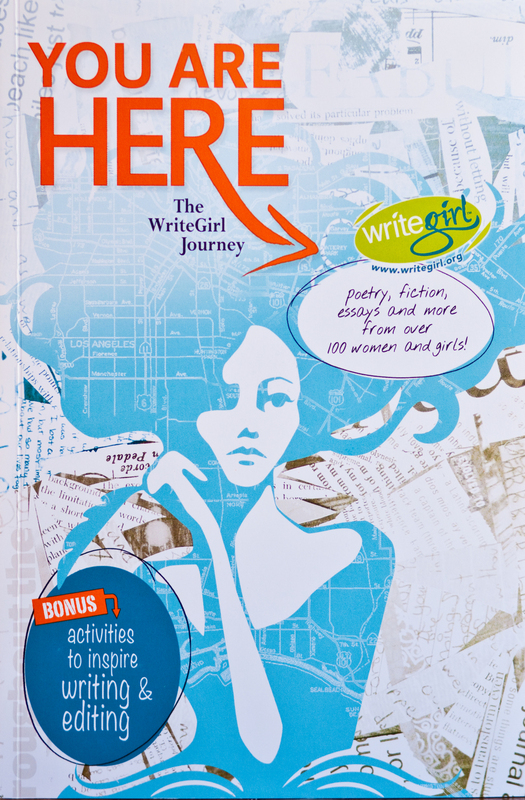 The works were contributed by girls ages 13 to 19 and their mentors at WriteGirl, a program for at-risk young women. The teens are paired with professional female writers, who coach them on using the written word as a means of empowerment, increasing their confidence and developing their own voices. Tips, writing prompts, and revising and editing exercises are offered to improve one’s writing. A final chapter discusses the WriteGirl program in detail. The level of writing by both the young adult and adult contributors is astounding. The selections are honest and raw without stooping to cursing to express emotions; relationships are explored without being graphic. This collection merits placement in school and public libraries alike and should be promoted to girls everywhere. It will surely touch the souls of female readers, although none of the topics is exclusively feminine in nature and can therefore be read and appreciated by young men as well, and inspire them to write about their experiences in the process. The pieces could also be used successfully as a supplemental classroom resource. This anthology is a must-have.